Mumbai: With the government taking a serious stand against the going practice of commission and kickbacks within the medical sector, the eight- member committee which has drafted a bill to look into the alleged ‘cut practice’ among hospitals and doctors, will soon put out the draft of the law for public suggestions. Medical Dialogues team had earlier reported that taking cognizance of the growing issue of kickbacks in the medical sector, the state government had formed an 8 member expert committee to frame guidelines/laws for punishment for the practice. Under the proposed anti-kickback law, the commission practice may lead a punishment up to three months and fine up to Rs.5,000 for first time offence. Repeated offender would be punishable by simple imprisonment up to six months and fine of Rs.25,000. HT now reports that the proposed bill is soon going to be placed under the public domain for comments and suggestions. Dr Pravin Shingare, director, Directorate of Medical Education and Research (DMER), one of the committee members, said that nearly 60% of the doctors in the city indulge in ‘cut practice’. “It has become a menace, and the government wants to now take a serious look at this problem,” he told HT. “Like every draft bill, this one too will be put up on the website for public reaction and suggestions,” he added. I am against the cut practice. However every business is allowed expenditure to secure business which is deductible while computing the income. 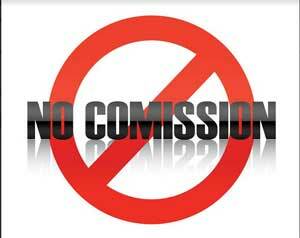 Now that Health Care is considered as business or industry, why should commission to secure patients not allowed. commissions are there in many professions-ban commissions /kick backs in all professions–why single out medical profession—corporate hospitals are appointing PROS to get patients to their hospitals–whether this will be banned?